Last Wednesday, three of my friends joined me for dinner for last week’s food mission. 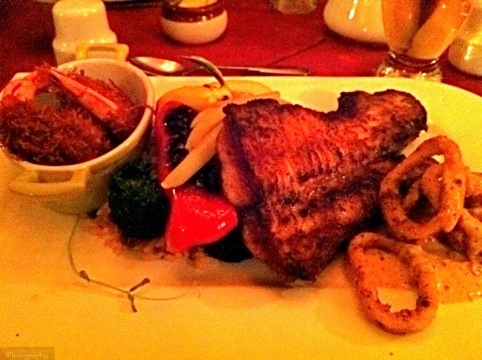 From a suggestion from chef Misha Djokic of Blue Sage, we visited New Orleans Seafood & Steakhouse in Toronto. Located in the city’s west end, the restaurant is situated in a strip-mall along the street with very limited free parking, as well as limited pay parking. From the outside, the restaurant looks very unassuming and small. Upon entering the restaurant you’ll notice that it has an elegant feel to it, closer to a fine dining atmosphere than casual dining. To start, I ordered the New Orleans Gumbo Yaya ($6.95), a nice hearty soup with a dark roux base, with chicken, sausage, rice and the “trinity”. 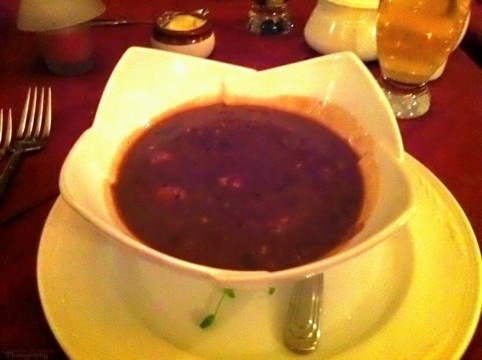 Not sure what the “trinity” is, but it was a great soup to start the meal with. The spice was just right for my liking, and aside from the soft jazz music playing in the background; the gumbo set the tone for a nice Cajun/Creole meal. All three friends ordered the same entrée, the Chicken Creole Pasta, the only difference being one of them asked for their dish to be extra spicy. They all enjoyed their meal, which is all I could say about it, because I didn’t have a taste of it, but it did look and smell delicious. For my entrée, I ordered the New Orleans Fisherman’s Plate ($29.95), which consisted of blackened fish, Cajun calamari, and coconut beer shrimp served with rice and vegetables. 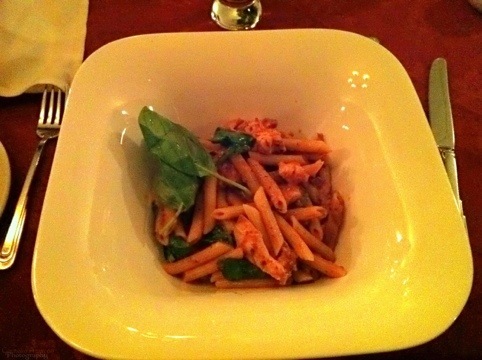 The dish was full of flavour, and cooked very well. One of the best seafood dishes I’ve had in a while. 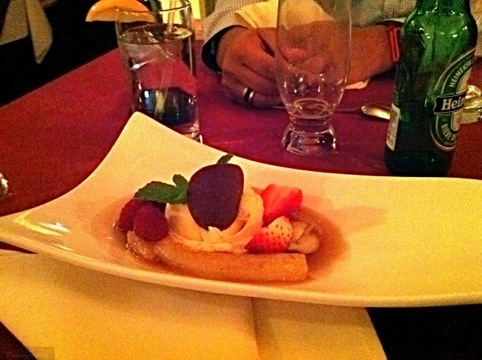 For dessert, one of my friends ordered the Banana Foster ($6.95). It looks great, and wished I could’ve tried it. 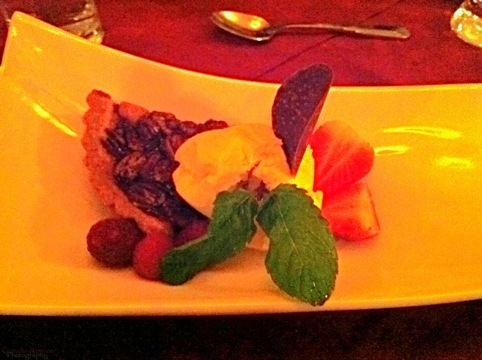 I ordered the Pecan Pie which was served warm and with a scoop of vanilla ice cream. The contrast between the warm pie and the cold ice cream was a great way to bring an end to a very enjoyable meal. If you’re going for a visit, I suggest to call ahead and make a reservation.